Definition at line 62 of file MachineModuleInfoImpls.h. Definition at line 70 of file MachineModuleInfoImpls.h. Definition at line 72 of file MachineModuleInfoImpls.h. Referenced by llvm::SparcELFTargetObjectFile::getTTypeGlobalReference(), and llvm::TargetLoweringObjectFileELF::getTTypeGlobalReference(). 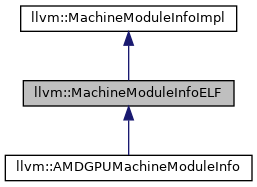 Definition at line 79 of file MachineModuleInfoImpls.h.